Discussions around infrastructure security and IT risk management were rampant in the wake of this year’s many high-profile data breaches. First, the biggest cyberattack in history (a distributed denial of services, or DDoS, attack) resulted in disrupted worldwide web services in March, affecting international web speeds and content delivery services. Then in June, Edward Snowden, an NSA contractor, leaked thousands of highly confidential documents on surveillance to the public. One of the top-secret programs the documents exposed was PRISM, run by the FBI and NSA to secretly mine data from Microsoft, Google, Yahoo!, Facebook, PalTalk, YouTube, Skype, AOL, and Apple. And in December, giant retailer Target fell victim to an attack that stole credit card data from as many as 40 million customersright in the middle of holiday shopping sprees. Events like these, plus the more outward exposure of foreign cybersecurity threats, kept us on our toes in 2013. Twitter went public on the NYSE in November (announced, appropriately, via Twitter), and greatly outperformed rival social network Facebook. It also released Vine, a wildly popular mobile service that lets over 6 million users capture and promote short, looping videos. 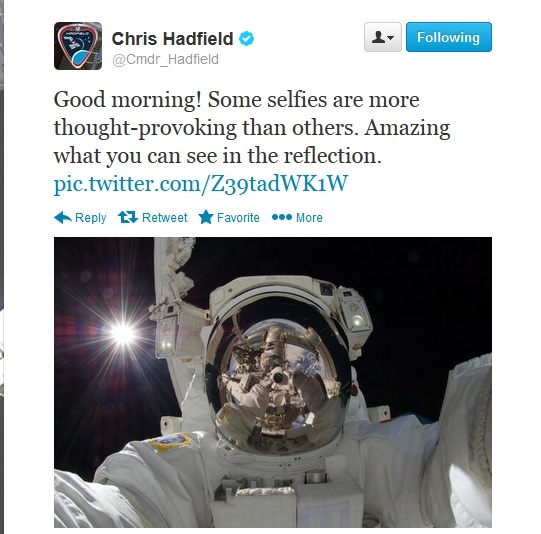 Other big Twitter moments: the new Pope started tweeting to over 3.5 million followers, and astronaut Chris Hadfield tweeted a “ selfie” from space. Despite a $400 million budget and years of development time, the healthcare exchange website proved to be a major source of frustration for would-be applicants of healthcare this year. Aside from the site’s inability to support high volume traffic, it was also criticized by web design experts for no-no’s like inconsistent messaging, redundant calls to action, and broken pull-down menus. In 2014, we hope to see government software development projects shift to become more agile in the way they are launched (Shameless plug: click here to read our ACA success story about building an online retail insurance platform). With flexible work-from-anywhere options becoming the norm at many big tech companies, Yahoo and Best Buy renewed the debate over employee productivity again this year by implementing strict “come-to-work” policies. “People are more productive when they’re alone, but they’re more collaborative and innovative when they’re together,” says Marissa Mayer, Yahoo's CEO. As the Wall Street Journal highlighted, more overall Americans (about 9.4% of U.S. workers) worked from home in 2013 than ever before. And thank goodness, because it’s a lot harder to drop your iPhone and shatter the screen when it’s on your wrist. The wearable consumer technology we were most excited about in 2013 were Google Glass, smart watches, and fitness bands like the Nike Fuelbandand Fitbit Force. The features on gadgets in this new category range from collecting and analyzing physical data like sleep and fitness cycles, to hands-free image-taking and web surfing. 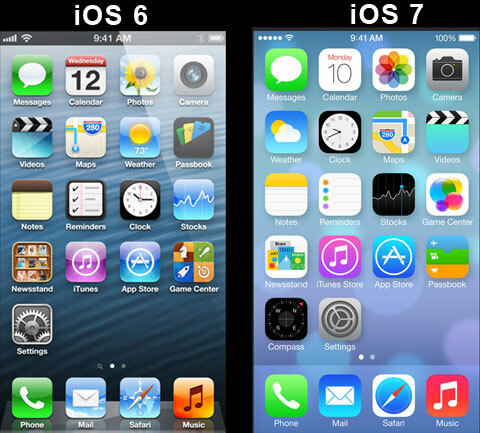 In Septemberjust after Steve Jobs was memorialized as the most visionary technologist of our time by the movie JobsApple released iOS 7, which featured a completely revamped user interface and a flat design. “It’s the biggest change to iOS since the iPhone,” said Apple CEO Tim Cook. The new, minimalistic look, with all excessive embellishments removed, makes use of flat, colored icons rather than the old metaphoric images like yellow notepads and wooden bookshelves. "Design defines so much of our experience," Apple's Jony Ives said in a video touting the new design. "I think there is a profound and enduring beauty in simplicity, in clarity, in efficiency. True simplicity is derived from so much more than just the absence of clutter and ornamentation. It's about bringing order to complexity." As far as we’re concerned, the jury is still out on how long the flat design trend will last. Stay tuned.